.... and I am so happy I joined in! I mixed braids, this one is a ply of each, and tried spinning a little thicker than my usual. I tried spinning colours I wouldn't usually choose and discovered that I love them!! I tried fibres I haven't used before like this Superwash Merino. I also tried out spinning some smooshy fulled singles with sparkle, sari silk and every colour there ever was!! 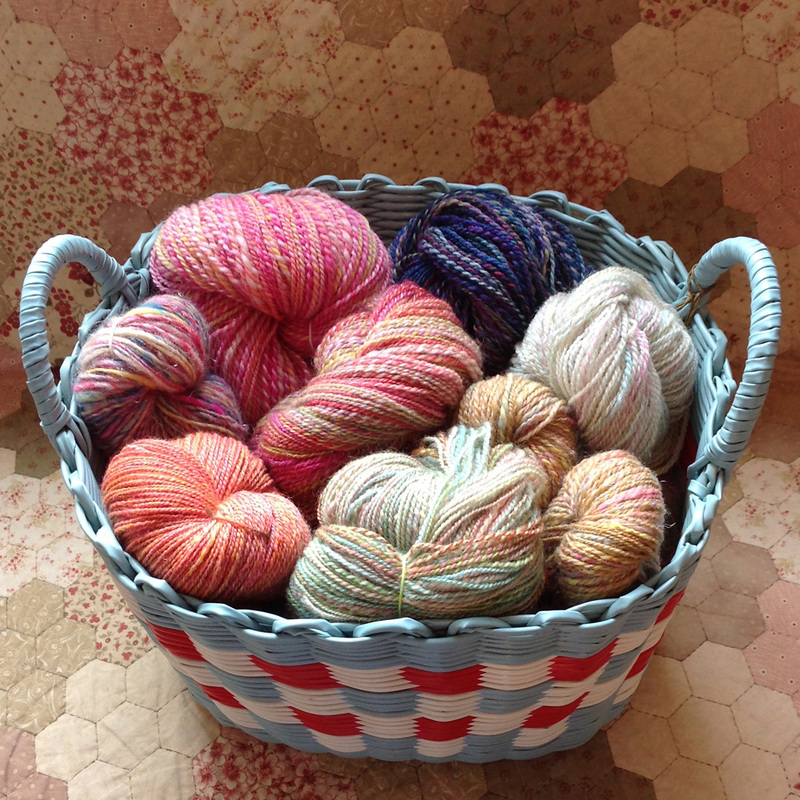 .... my basket is now full of handspun!! Yay!! Instagram was full of inspiring pictures from other spinners taking part which kept my motivation up and the A Yarn Loving Mama team hashtag (#teamaylmtdf2013) which I was part of was full of gorgeous yarns and fibres! I'm looking forward to taking part again next year! I'm joining in with the Spinning Show and Tell on Crafts from the Cwtch again this week so click on the link for more spinning related loveliness. How did your Tour go? What are you spinning next? Thank you Sarah :) I'm so enjoying the weekly show and tell!! Looks like you had a very successful TDF! I sat out this year, but I've been vicariously living through all the lovely spinning I'm seeing elsewhere! Thank Bethany! All of the pictures from everyone were so inspiring weren't they! Your photos look so nice how do you create the "collage effect" with the lettering? Thanks Jacko :) The text ones were made using the A Beautiful Mess app and the collage ones were made using PicStitch, both on my ipad.